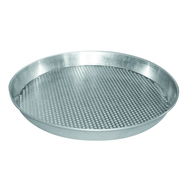 MOLDE CONICO PARA PIZZA EN ALUMINIO CON LA BASE PERFORADA CON PERFORACIONES DE 3 MM. 426801-18 ALUMINIO 18 CM. Ø BOCA, 2,5 CM. ALTO (16 CM. Ø BASE)PERFORACION 3 MM. 426801-20 ALUMINIO 20 CM. Ø BOCA, 2,5 CM. ALTO (18 CM. Ø BASE)PERFORACION 3 MM. 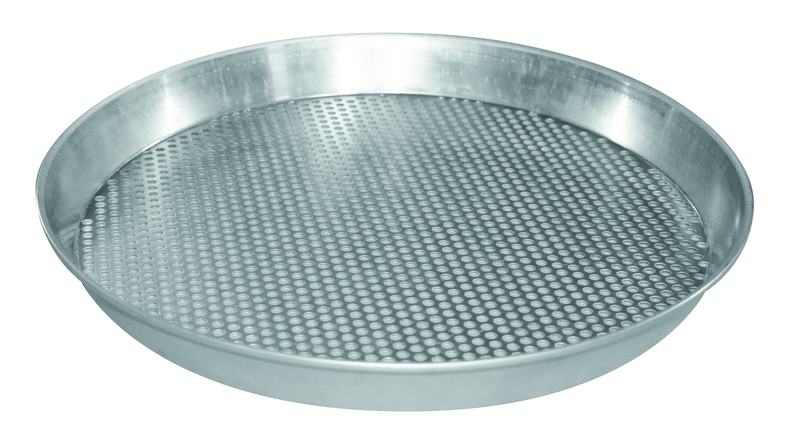 426801-24 ALUMINIO 24 CM. Ø BOCA, 2,5 CM. ALTO (22 CM. Ø BASE)PERFORACION 3 MM. 426801-26 ALUMINIO 26 CM. Ø BOCA, 2,5 CM. ALTO (24 CM. Ø BASE) PERFORACION 3 MM. 426801-28 ALUMINIO 28 CM. Ø BOCA, 2,5 CM. ALTO (26 CM. Ø BASE) PERFORACION 3 MM. 426801-30 ALUMINIO 30 CM. Ø BOCA, 2,5 CM. ALTO (28 CM. Ø BASE) PERFORACION 3 MM. 426801-32 ALUMINIO 32 CM. Ø BOCA, 2,5 CM. ALTO (30 CM. Ø BASE) PERFORACION 3 MM. 426801-34 ALUMINIO 34 CM. Ø BOCA, 2,5 CM. ALTO (32 CM. Ø BASE) PERFORACION 3 MM. 426801-36 ALUMINIO 36 CM. Ø BOCA, 2,5 CM. ALTO (34 CM. Ø BASE) PERFORACION 3 MM. 426801-40 ALUMINIO 40 CM. Ø BOCA, 2,5 CM. ALTO (38,5 CM. Ø BASE) PERFORACION 3 MM.